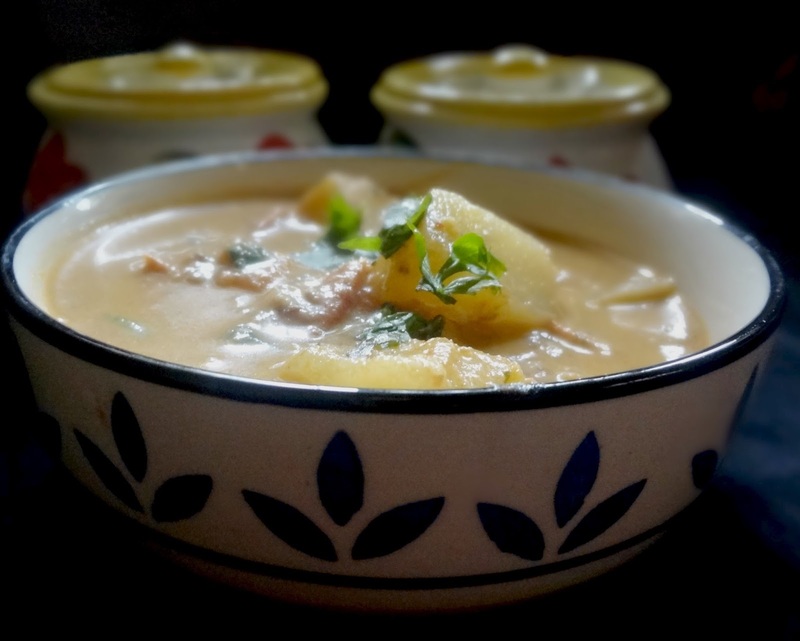 This is a very delicious dish called potato stew and my personal favourite for a quick side dish to go with many dishes. 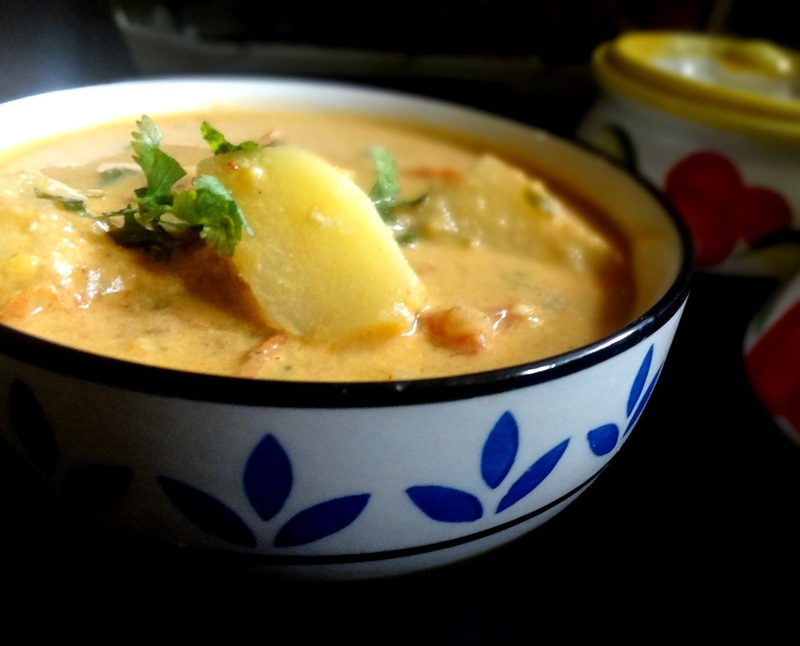 I love the fact you dont need onions to make this dish tasty, the addition of coconut milk is the key to the yummiest dish. 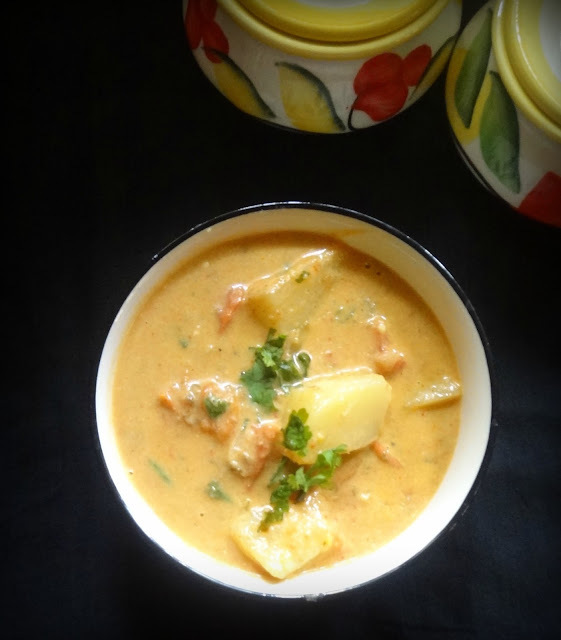 This can well be an addition to the array of other dishes while you are entertaining and need a quick addition. Useful when you have no veggies except potatoes and tomatoes. The recipe is sourced from Samaithu Paar ( cook and see) by Meenakshi Ammal , my cooking Guru .I have made tiny changes. If you have the time , grind freshly grated coconut and extract fresh coconut milk twice enough to make 2 cups. 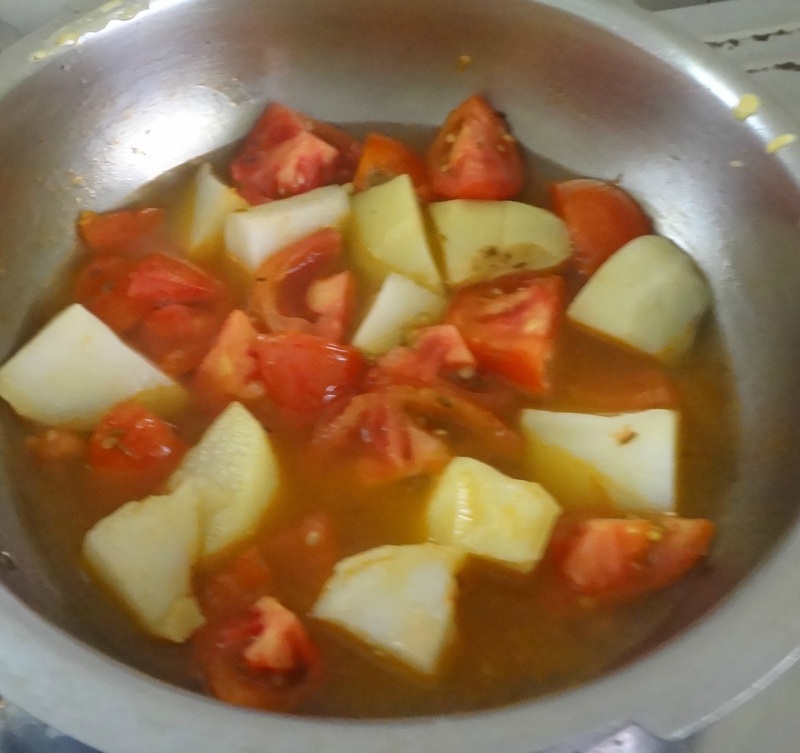 Take a pan, add coconut oil, add the cumin seeds , add the chopped tomatoes and peeled cubed potatoes.Add some water just enough to cook till slightly tender. Add a bit of salt now. Add some curry leaves, let it boil . Meanwhile roast the ingredients mentioned in "to roast and grind", when cooled grind to paste with grated coconut and little water . Now add this paste to the cooking mixture of potatoes and tomatoes. Add little more water now as gravy shouldn't thicken too much. 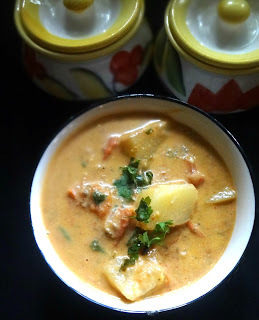 When the potatoes, tomatoes have cooked well add the coconut milk, dilute if thick. Let the flame be on a low, dont allow to boil over after adding coconut milk.Adjust salt. This is an excellent dish to go with rice, sevai, chapatis, idlis and dosas.